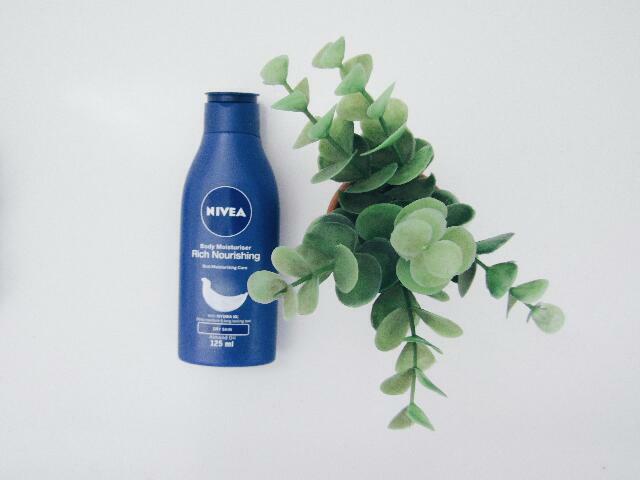 When your skin needs a intensive care Nivea will come to the rescue. I have mentioned countless times that my skin is rather dry and finding the correct lotion is not the easiest task. I have been using the Nivea Creme for quite some time as a hand lotion. It really does wonders to my skin leaving it feeling hydrated for longer. I'm guessing it has something to do with the fact that it contains no preservatives and is dermatologically approved. The creme is a rich texture and is simply an elixr for the skin. After the impressive results I received with the cream I decided to super size it. 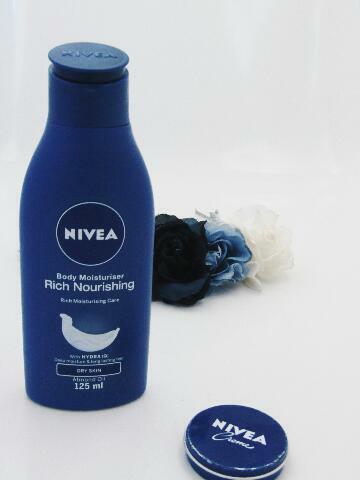 I purchased the Nivea Nourishing Body Moisturiser for dry skin. The results were equally as impressive. The Hydra IQ enriched body moisturiser has helped to reduce my dry skin. The lotion leaves my skin feeling smooth and hydrated and I honestly wouldn't ask for anything else.